innacle Arts Management, Inc. distinguishes itself from many other artists’ management firms by its interest and ability to represent artists at all levels of a career. It seeks to provide the artist with an opportunities to develop their talent in regional settings with the eventual goal of attaining an international career in lieu of attempting immediate achievement of this goal. In order to provide this opportunity, the firm eagerly collaborates with smaller regional arts organizations in addition to opera companies and orchestras of international stature. 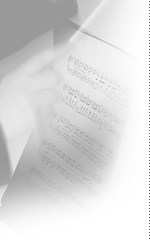 Its principal managers are knowledgeable in matters related the vocal arts and are able to offer advice and counsel about repertoire and technique based on actual experience and training. In addition, they are acquainted with the market for the talent of their clients on account of their own personal experience as participants in that market. This background provides a rational context for the development and implementation of a strategy for career development based on the facts that describe the artist’s personality and talent and the market for such talent, and not merely basing a strategy on a vision of the goal itself without considering the person and the market.